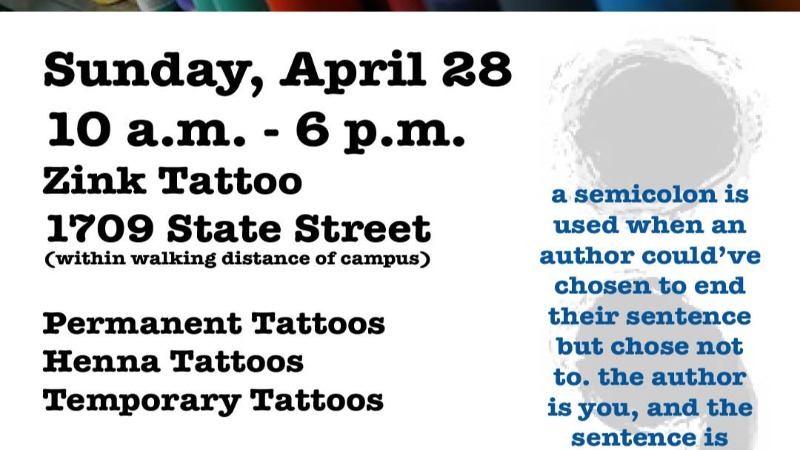 Zink Tattoo generously hosts Gannon University’s chapter of Active Minds and local community advocates to Inspire Hope: Project Semicolon Erie (3rd Annual). *Food trucks, music, games & family-friendly fun! Proceeds raised at the event will be donated to the National and Gannon University’s chapter of Active Minds and Project Semicolon, Inc. Questions? Want to help out or donate? Have other awesome ideas to help us raise money for this great cause? Email Aly Eagle at eagle002@gannon.edu or direct message one of the hosts on this event page! Please join us for a celebration of life!